((((Scratch head)))) Was this a romance story or a training guide for dogs?! I enjoyed it, but I swear this read more like a training guide for dogs with a romantic suspense story thrown in for good measure. 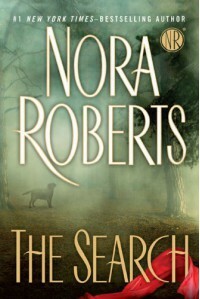 While I do love a good Nora Roberts book, I find too many are just filled with waaaaaaaaaaaaaaaaay too much ‘filler’ content. Fortunately for me I love dogs to pieces so it wasn’t always boring stuff, but once I finished the book I realized how much of it was just filler fluff and not all that relevant to the story. OK, now that I have that off my chest, I really did like the romance aspect of this story. The heroine Fiona Bristow was a likeable enough heroine, and her love interest Simon Doyl grew on me over time. In the end, I became a full believer in their love for each other. They took the romance slow and steady, and I loved how Simon dealt with his changing feelings. His simple bachelor life was melting away right in front of him, and he begrudgingly found himself enjoying the change. The rest of the story centers around dog training, uh, I mean a serial killer reaching out from prison to get redemption for his one and only botched kill. Eight years earlier Fiona escaped his clutches so he took retribution by killing her fiancé. She identified him and he was sentenced to life in prison, but even now he is plotting her death by enlisting and training a copy-cat serial killer. The suspense part of the story was minimal and not overly gripping. We follow the new serial killer from time to time to watch his endeavors as he plots to kill Fiona, but for the most part she is busy teaching us about search and rescue techniques with her volunteer K9 unit. The ending wasn’t what I predicted, and I found I liked this ending much better so it did end on a high note for me.